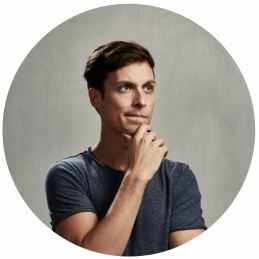 Introverted Intuitives (INs) are commonly classified as reflective personality types, whereas Extraverted Sensors are construed as active types. INs’ reluctance to act can contribute to problems when it comes to things such as careers or relationships. Despite their common difficulty with action, the specific underlying reasons are somewhat different among INFPs, INTPs, INFJs, & INTJs. The purpose of this post is to illuminate these differences. Specifically, I will suggest that INPs difficulty with acting relates more to indecisiveness, whereas INJs’ struggles stem largely from their idealism and perfectionism. According to William James, “beliefs, in short, are rules for action.” Taken in the negative sense, we might suggest that if you don’t know what you believe or believe in, it can compromise your ability to act. Beliefs or ideals orient us in a certain direction. They involve a negation of alternatives, a preference for one way over and against others. 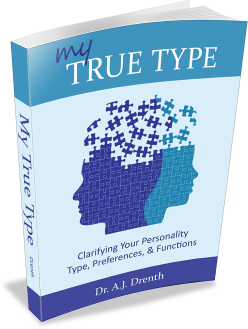 Among the most open-ended of all types, the INTP and INFP are known for their difficulty in arriving at firm conclusions. While their dominant judging function (Introverted Thinking (Ti) or Introverted Feeling (Fi)) seeks closure, their auxiliary, Extraverted Intuition (Ne) is adept at introducing doubt or additional options for consideration. Thus, INFPs and INTPs alike may struggle to settle on a worldview, identity, or direction that allows them to act with confidence. 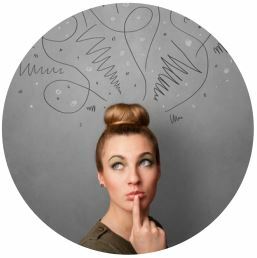 Issues with self-esteem, self-confidence, or anxiety can serve as complicating factors for INPs, especially INFPs. This makes sense in light of type theory, in that the extraverted judging function for INFPs, Extraverted Thinking (Te), is in the inferior position of their functional stack. INFPs who have not developed their Te, perhaps because of the anxiety that stems from its use, often feel helpless and powerless when it comes to asserting themselves in the outside world. My INFP sister who decided to become a high school math teacher had to learn this the hard way. She was forced to utilize and develop her Te in order to survive and become an effective teacher. 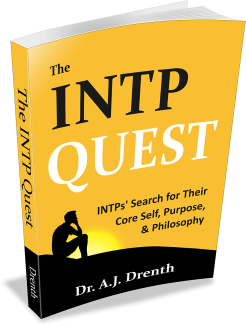 For the INTP, skepticism and cynicism can serve as formidable roadblocks to action. 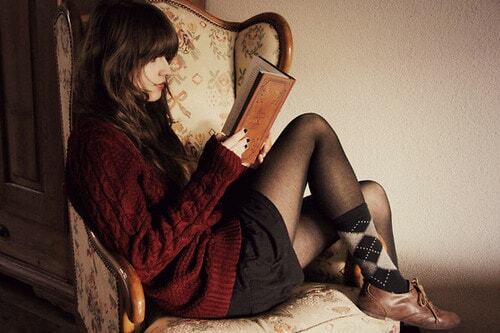 Many INTPs find it difficult to fully embrace anything intellectually, let alone practically. They are experts at identifying the shortcomings and limitations of theories and action plans. Even if endorsing a given solution, their lack of confidence in their inferior Extraverted Feeling (Fe) function often precludes them from acting. Hence, both INTPs and INFPs often end up feeling powerless and frustrated when looking for a path of action in the world. 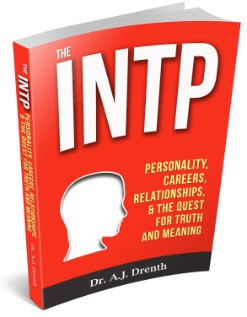 The INTJ and INFJ do not suffer from the same degree of indecision when it comes their beliefs and identity as INPs. Their dominant function, Introverted Intuition (Ni), confers a greater sense of closure and conviction. Unlike Ne, which produces an endless stream of options, Ni, somewhat paradoxically, can act quite convergently, functioning more like a judging function. INJs often report having a gut feeling (i.e., intuition) and strong sense of conviction about what is true and what they believe. INJs’ inferior function, Extraverted Sensing (Se), is arguably the most “worldly” and action-oriented of all the functions. Ni, in contrast, is the most “otherworldly,” idealistic, and abstract. Hence, INJs’ difficulty with regard to action is best understood in terms of their struggle to reconcile these opposing functions. Their Ni provides INJs with ideals, that is, with solutions or answers to improve the outside world. They often find their visions incredibly beautiful and compelling, finding it difficult to accept anything less than the seemingly perfect solution proffered by their Ni. To actualize this ideal, INJs must find a way to transform it into a tangible reality (Se). Unfortunately, because life is messy and does not readily conform to such idealistic efforts, INJs quickly learn that their visions are almost always tarnished in the process of actualization. Once the ideal has been tainted, it is easy for INJs (especially INFJs) to become despondent and lose all interest. The second option for INJs is to actively work to implement their ideas while being willing to accept something less than perfection. This option appeases their inferior S while at some level frustrating their Ni. It also introduces a new set of concerns. Namely, once the Ni ideal is tarnished, at what point can something be considered acceptable or “good enough?” This question is unavoidable in both their work and relationships. They are forced to grapple with whether the product or relationship is acceptable or if it is time to cut their losses and start over. If they do opt to call it quits, they will again be faced with their original dilemma of whether they should even bother to dirty their hands in the Sensing world. In sum, INPs are frustrated by their habitual indecisiveness, while INJs are frustrated by their intractable idealism and perfectionism. This is not to say, however, that INPs don’t struggle with idealism or that INJs don’t struggle with indecision. I should also add that most INs struggle with some level of anxiety when it comes to acting in an extraverted fashion. I have the same question and let me try to answer it. We are driven by our values based in “idealism and perfectionism”; and realistically we are not going to change or compromise them. As written above: “if you don’t know what you believe or believe in, it can compromise your ability to act”. So, first write down your core values and get crystal clear on them; like only an INTJ can (embrace and use your INTJ). Now apply your values, not to the task at hand, but to the consequences of action/non action; and once again compare those with your INTJ powers. So, let’s say you have a goal, project or relationship issue and you don’t act on it (for fear of failure that it will not be perfect), or you do and don’t finish it (because some “imperfection” you can’t solve will compromise your values). The result is not nothing! It is FAILURE: “Darn I thought of that product years ago”, or “I can’t think of the perfect words to say to someone, so that’s why I didn’t call them”. Is the successful product you now see on the market perfect? Does the person that you didn’t call think you don’t care about them? How does failure, resentment or not caring fit into your value system? Probably not well. So now, what if you do act and actually finish it and the outcome is not perfect? Take the feedback you got and do version 2! Now compare failure with progressive success. You will never get it perfect the first time and if you don’t finish the first there won’t be a second. Hope that helps, in case this response isn’t perfect let me know, I’ll do it again, cheers! I am a INFJ . I have to block my feelings and ideals to live in this world. But every now and then I have a manic episode and I tell everyone in my path how I really feel with no filter . This leads to broken friendships and even problems with my family . Very hard to function with this personality and I have a superhuman faith and morals . I think you chose te bad path of life then.. The fact that you have manic episode and causing problem with your friends and family. Don’t give up to being yourself, even it means we need to work harder than anyone.. find compromise which you can be your self and still acceptable to the world. P.S. : For INFJs, it would be Fe who saves the day. Fe loves to interact right were people are at, connecting and nurturing to turn negative situations around.